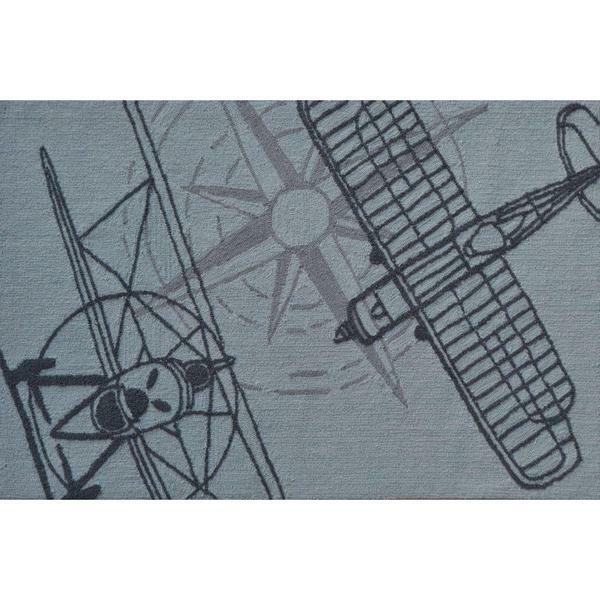 Such a cute rug and perfect for my son's room, which is done with an airplane motif. Just wish they had one bigger. This is so nice though, and feels like a real rug, which is nice to have for a kids room. Definitely need a rug pad with this though, to keep it from sliding around. Crafted of fine polyester, this Hand-hooked Outline Plane Grey Polyester Area Rug has rich colors to enhance your interior decor. With a hand-hooked construction and plush pile, this rectangular rug brings flair to your home with its geometric design in grey. This collection of nursery room baby rugs are designed in playful colors and patterns. Classic and versatile, they make the perfect blend of style and comfort just like this Outline Plane Grey Rug.